MANY WORLDS OF NEOPIA - You've seen them, marvelled at them, and wished you owned them. And I'm not talking about radioactive tap-dancing pineapples with optional drink-holders. I'm talking about those castles, towers, palaces, and in general amazing residences you see everywhere in Neopia. What? You say you don't know what the heck I'm talking about? 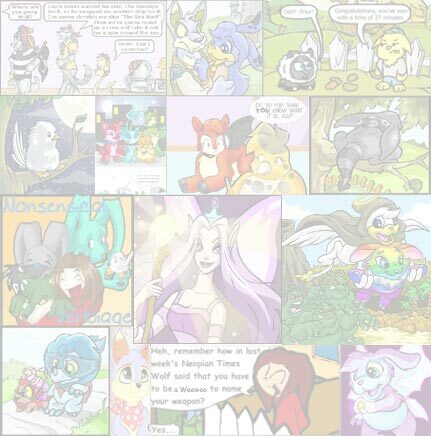 Well, then we better get stuck into it, and before you've finished reading this article, you will know of the most famous Neopian residences in the whole of Neopia, from Edna's Tower in the Haunted Woods to Illusen's Glade. A huge, majestic castle done in the traditional style, complete with ramparts, towers, drawbridge and moat. Truly a castle fit for a king. And it should be, considering King Skarl lives there. Inside this wonder of architecture, you can be cheated out of your money by a sneaky-looking Skeith, crack corny puns to the king, and play with funny looking rocks on a wooden board against a cheating, dishonest Draik, who's deceptive manner is only rivalled by the Skeith a Meristone's throw away. Hmmm, this castle seems awfully corrupt, doesn't it? Hope it doesn't rub off on good ol' Skarl. Speaking of King Skarl, why doesn't he ever laugh at my jokes? Huh, that radioactive, tap-dancing pineapple with optional drink-holder joke I made up was the funniest I'd ever heard, but nooooooo, King Skarl just has to throw me out of the castle before I even get to the punch line. Typical grumpy king. Oh well. At least I got to swim in the moat, when I was thrown in by the guards, uh, I mean, dived in of my own free will. Let that be a lesson to you not to make wisecracks about his large, bloated stomach. Or you'll end up in a moat with some nasty-looking hungry Krawks. a) It's close enough to Blumaria for little Blumaroos to come wandering by (and subsequently be sucked dry of blood), but not so close as to tempt pitchfork wielding, flaming torch-bearing villagers. b) It's fairly near to Grandma Roo's Café (which is located in Blumaria), which is famous for its fabulous pancakes. (Count Von Roo is said to be fond of the jelly-stuffed pancakes-- and he is rumoured to have a particularly unusual way of eating them). c) And lastly, the Spring Shop is easily accessible from the castle. Count Von Roo himself has been heard ordering new spring powered fangs and pink and purple striped pogo sticks. The former is said to be truly fearsome, and the latter even more so. The Faerie Queen's Castle, located in Faerie city, is the home of possibly the most powerful individual in Neopia. And no, I'm not talking about Dr. Sloth, Adam, or even your neighbour Mr. Slorgmeister. I'm talking about the Faerie Queen herself, in all her shades of purple glory. If you walked past the palace, you might go past Queen Fyora without even noticing her, because her outfit has exactly the same colours as the palace décor! Great camouflage, even if it is unintentional. Inside has the same type of colour scheme- I think. I was thrown out before I noticed too much. Why? Merely because I hassled, uh, I mean, politely asked, the palace guards about the whereabouts of the Hidden Tower. Repeatedly. This building is certainly unique, as it deviates from the usual, rather block-like castle structure, going for the rounded, curved look instead. Which it manages magnificently, as a matter of fact. The three, large, spherical, glass balls that perch atop the castle are a nice touch as well. I'm fairly sure that they're ordinary snow globes zapped with a Supersize Ultimate, but what do I know? This majestic palace is the home of none other than Princess Lilac, the military genius who defeated the Snow Beasts, (in the only major conflict Winter World has ever experienced), and inspired the game Snow Wars. Well, I'll bet the description of this tower is going to be a surprise to you. You know why? Because you can't see it! It's just not on the map! Well, not unless you spin around three times, wave a pineapple in the air, eat three different pineapple by-products, trade eighteen collectable cards with a shady-looking narcoleptic plushie Slorg, and do some other stuff. Which I won't be revealing any time soon, since if I do, you'll rush out there to find the tower and won't finish reading this article. Anyway, back to the description of the tower. It's everything you would expect it to be- pink fluffy wallpaper, deep purple shag rug, lots of cute ceramic ornaments of baby Neopets, ducks and Slorgs, roaring purple fire in the fireplace, etc. You get the idea. Everything you would expect from the residence of a witch who regularly turns Neopets into gourmet food and transforms innocent Petpets into Slorgs. Even if they were Slorgs in the first place. Which makes them doubly Slorgorific! *Note: Slorgorific is a registered trademark of Radioactive Tap-dancing Pineapples With Optional Drink Holders Co Pty Ltd.
Sakhmet Palace is more of a miniature city than a place. The very place were poor old King Coltzan was poisoned (trust me, Skarl couldn't hold a candle to Coltzan in kingliness), and where the final stages of the Lost Desert War took place, this palace is just oozing history. And if you're lucky, you might bump into Princess Vyssa or maybe some other Lost Desert Royalty. But there is a downside. If you're near a puddle, you will have to lie down over it so the royalty in question can walk over it without getting their paws wet. And if you don't, you'll be executed for impudence. Ouch. Luckily for you, water is so scarce (apart from the big river and lake), and it rains so rarely that chances are you won't even see a puddle, let alone have to lie in one. Oooohhh, scary! *Lightning flashes and thunder rumbles* For some odd reason there's a mummy wandering about outside too, so watch out. No, not 'mummy' as nice lady who gives you cookies and milk, 'mummy' as in scary guy dressed in yellowed bandages. I have no idea why the mummy is there either- shouldn't he be in a pyramid somewhere in the Lost Desert or something? But back to the Haunted House *Lightning flashes and thunder rumbles* . It's old, mouldy, full of ghosts, monsters, and vampire-like Slorgs. That just about sums it up. And yeah, the third step on the wooden staircase creaks a lot. That's probably the doing of some scary, evil, malicious creature! Or possibly just old age and heat expansion. Really the only notable building on Terror Mountain (besides Taelia's weird house and Mike And Carassa's igloo), the Neopian Ski Lodge is the historic site where numerous murders took place. 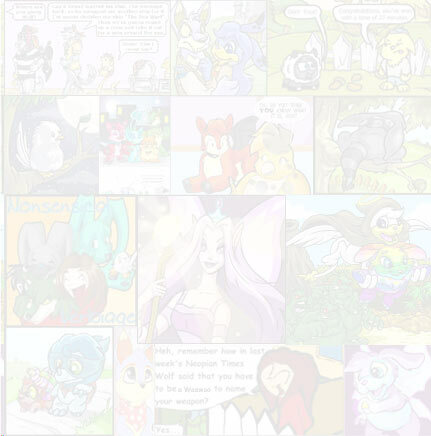 Luckily, only members of the Neopets staff died, so there wasn't much of a loss. Just kidding, people! Anyway, Dr. Sloth has a laboratory in the Ski Lodge's basement, where he cooks up Transmogrification potions, diabolical experiments and cheese soufflés in his spare time. This glade is very nice, and, um, green. And leafy, for all you hippie nuts out there. In the glade lives Illusen herself, the Earth Faerie with quests, a cool green streak in her hair, and a major bone to pick with Jhudora. Stroll in here, retrieve a few items, and you'll receive various rewards like cookies, shields made of leaves, and fashion accessories. Much better rewards than the other Earth Faeries give. In this cloud lives Jhudorah, everybody's not-so-favourite Faerie. Not only is she nasty and evil, she's malicious, cruel, wicked and in general a not very nice Faerie. She's got it all, people! She even has a rather, um, lovely purple pool, which seems to be giving off poisonous and environmentally-unfriendly fumes. Yay. Take one dip in there and you'll probably be turned into a purple Slorg. Which wouldn't be too bad, come to think of it. And so ends another article. *Sigh*. Now you know all there is to know about famous Neopian residences (apart from all the ones I didn't mention). *Author's note: Now for you people out there with waaaaaay too much time on their hands, try this- count how many times the word 'Slorg' appears in this article, then check back down here at the Second Author's note for the answer. **Second Author's Note: Counted up those Slorgs? Well, guess what? Whatever you counted is WRONG! Do you know why? Because I just popped in an extra Slorg here! Which makes your count WRONG! (unless you counted one too many, which means you're hopelessly enumerate) Muhahahaha! This is surrealistic, bizarre writer Bluescorchio104, wishing you and your pineapples the best until next time!